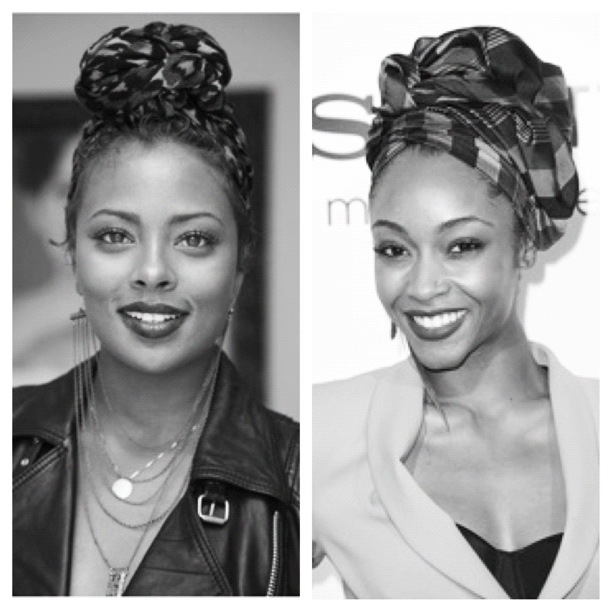 Kurlee Belle: Who Wore It Best: Eva Pigford or Yaya Dacosta? Head scarves are all the rage this summer! Even our favorite America's Next Top Models are sporting them! Who wore it best in your opinion? Eva or Yaya? Check out "10 Ways to Tie a Silk Head Scarf" by Naptural85 on Youtube! Have you tried this look? yes, i like yaya's better. Yaya!! Looks so elegant on her!